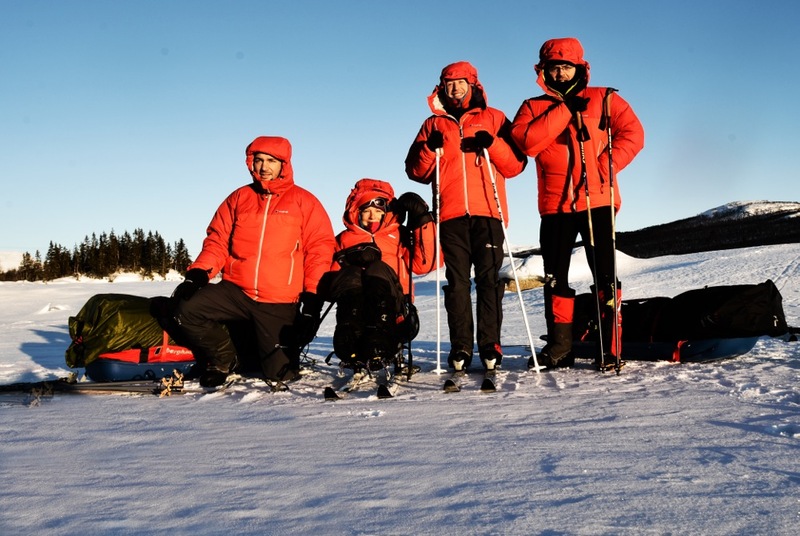 I'm just back from a 2 week training 'mini-expedition' to Norway in preparation for my forth-coming 'Pole of Possibility' expedition to the South Pole. The Norway trip was a great success, and provided us with the opportunity to test our kit (thanks to Berghaus who sponsored us) and our skills. 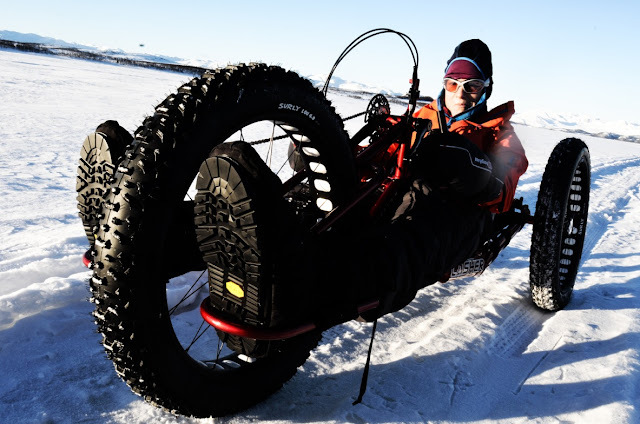 Karen is paralysed from the chest down and will be the first paraplegic to 'ski' to the Pole. Her snow bike (above) looks fantastic, but unfortunately didn't perform very well in soft snow and Karen had to revert back to her 'sit ski' for much of the trip (which she has used previously to 'sit ski' across Greenland). Unfortunately, when the bike didn't work, someone had to tow it! Tucked up in our cosy tent. We also managed to 'fix' Simon's snoring! If you are into ice climbing, I can highly recommend Rjukan in Norway. Also, you should stay at the Climbing Inn.